Anyway, each week I try to come up with something different and be diversified in the topics so that I have something for everyone. I learned a long time ago there is no way possible to please everyone but I do try to offer a variety. Ironically the topics I think will be popular usually are not and the ones I think won’t be popular actually are. Funny how that works. Since we are coming off of Valentines Day and all that chocolate, I wanted to do something else that was sweet. I asked my son for a suggestion and his response was “It should be a piece of cake.” Naturally, I had to go with that because it was such a play on words. 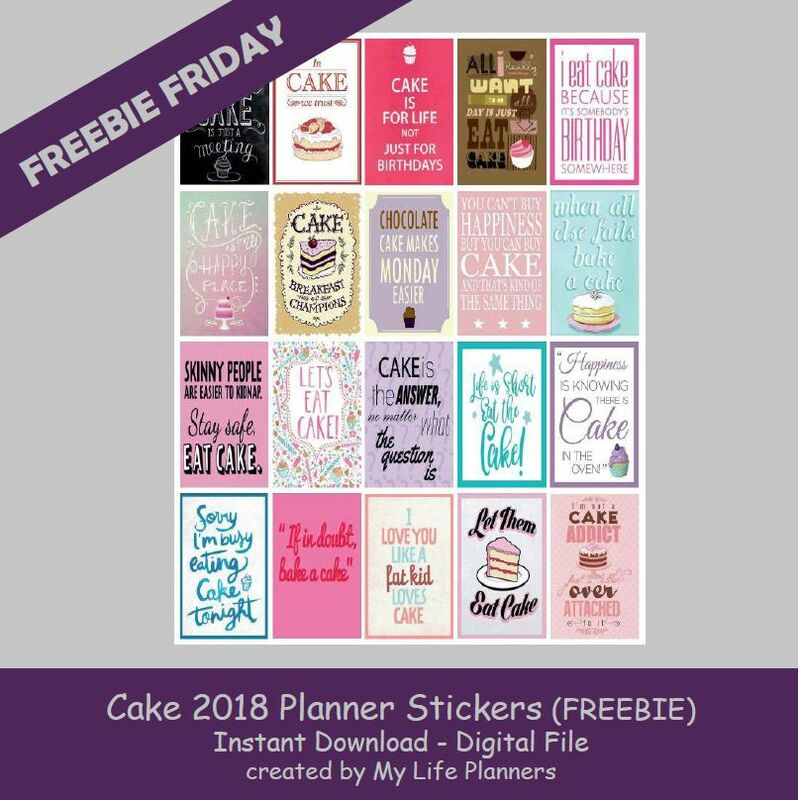 This week’s feature for Freebie Friday is Cake Planner Quotes. Remember, to add the icing to your planners with these fun Cake Planner Quotes.